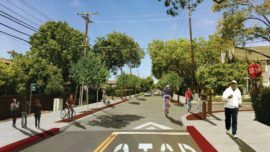 The City of Palo Alto is developing five bicycle boulevard corridors to build the City’s bicycle network by linking schools, parks, and job centers. It establishes a brand of high-quality facilities that attract additional ridership to and within the community. 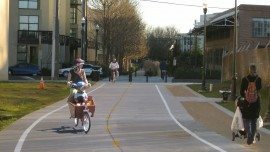 Alta is providing feasibility planning, public outreach, and design services for nine bicycle boulevard corridors. These projects consider various treatments including green bicycle lanes, cycle tracks, intersection treatments, and traffic calming. 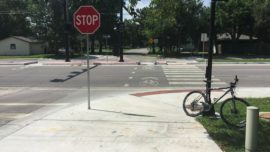 Feasibility assessment tools include Bicycle/Pedestrian Quality of Service measurements and public outreach activities, including numerous community ridealongs, evening workshops, farmers market booths, and an online mapping tool.